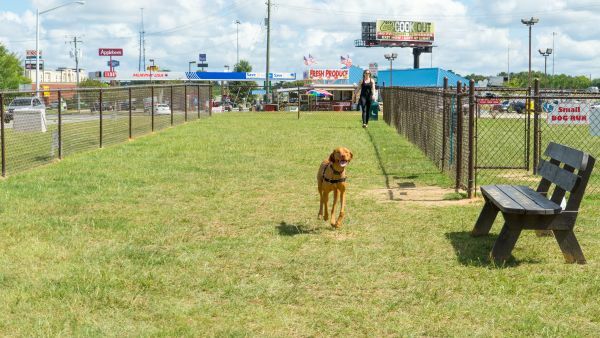 With the large number of people who travel with their dogs, the Halifax County Convention and Visitors Bureau opened a free dog run at the visitor center. 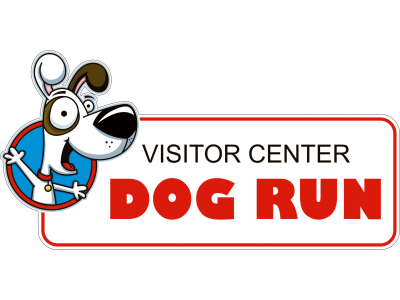 The Halifax County Visitor Center Dog Run is open daily from sunrise to sunset and located just off I-95 Exit 173 in Roanoke Rapids, NC. The run is getting lots of use and overwhelming positive response from travelers and “two paws up” from the dogs. The dog run is separated into two runs for large dogs and small dogs. There is a water feature with fresh water and clean, individual bowls for use while in the park. A cleanup station is also provided with baggies to pick up after the dogs and a specific container for droppings. Dogs can run off-leash while in the run. Handlers must stay at the park with their dogs, so picnic tables and chairs are provided, enabling travelers to relax and possibly have a picnic while their dogs get much-needed travel break, play time and exercise. Visitors are welcome to come into the visitor center to get a treat for the dogs.